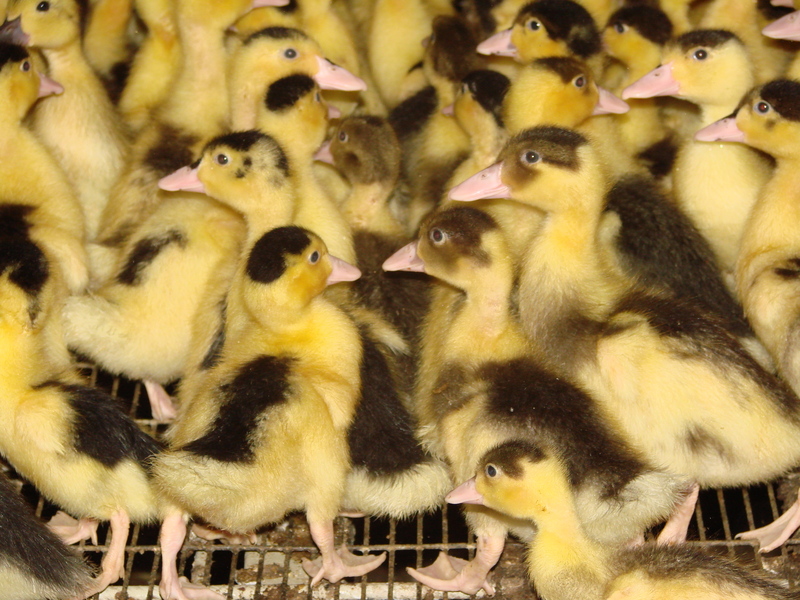 Mulards are hybrids of musky duck and Pekin duck. 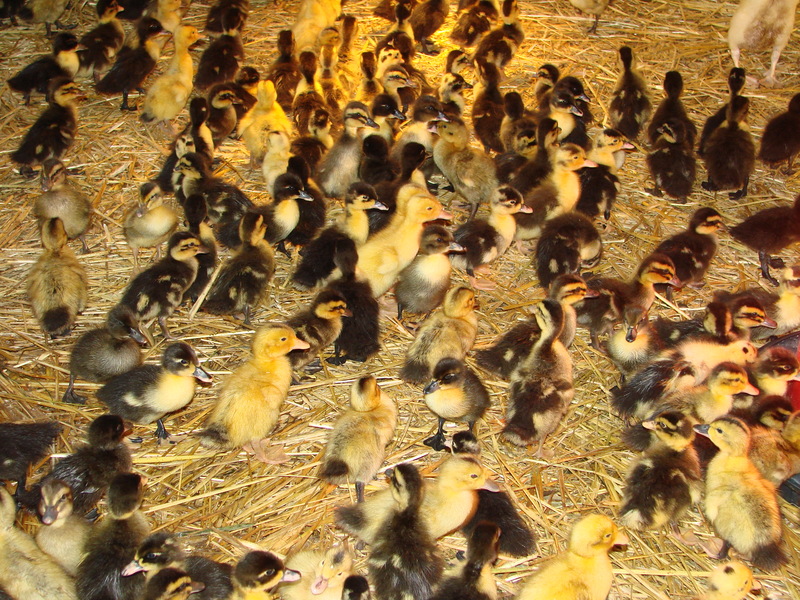 It is worth to consider breeding Mallard ducks due to their properties. 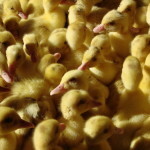 Mulards have developed pectoral muscles and developed leg muscles, and skin with little subcutaneous fat. 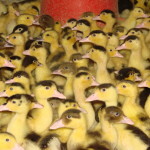 Mulard duck is resistant to low temperatures and is not picky in terms of food. 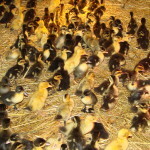 Mulard ducks are vital, they have low requirements, and their meat is tasty and juicy. 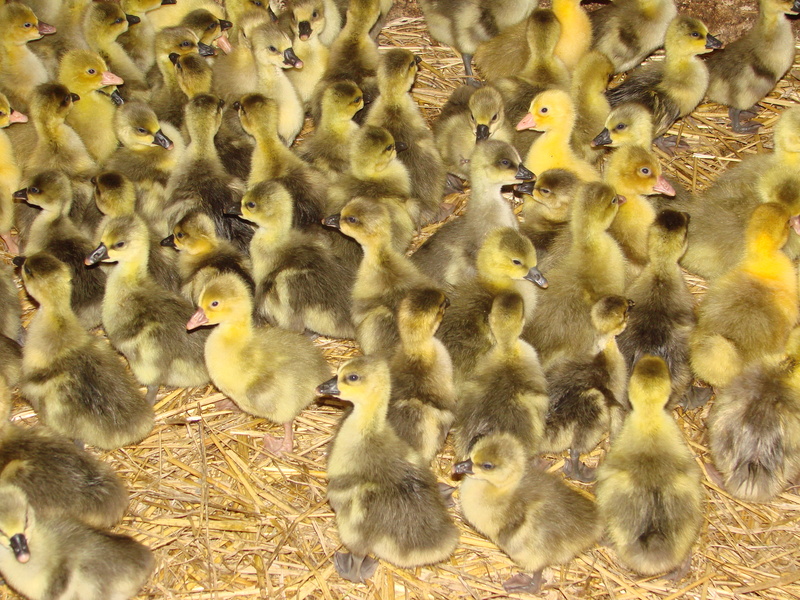 We encourage you to purchase and breed Mallard ducks due to their culinary qualities and low fatness. 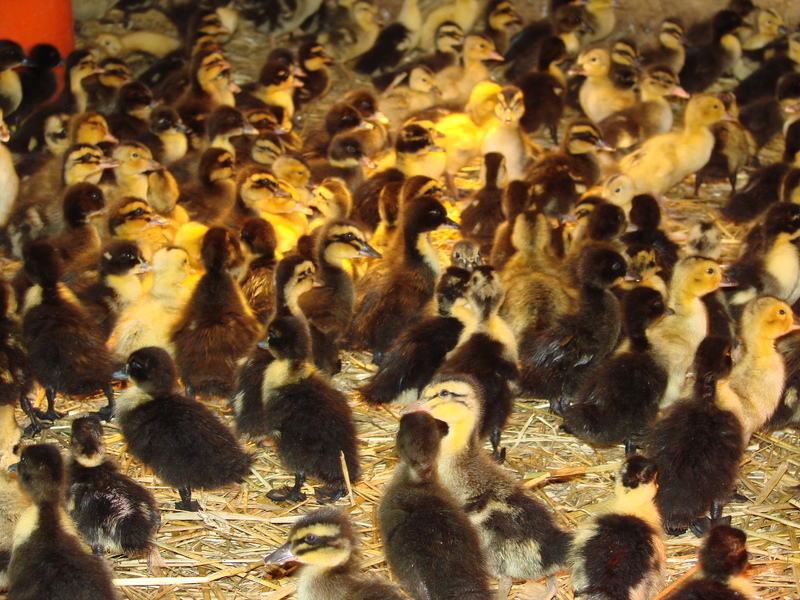 Mulard ducks like being in the fresh air and exercise positively affects their metabolism. 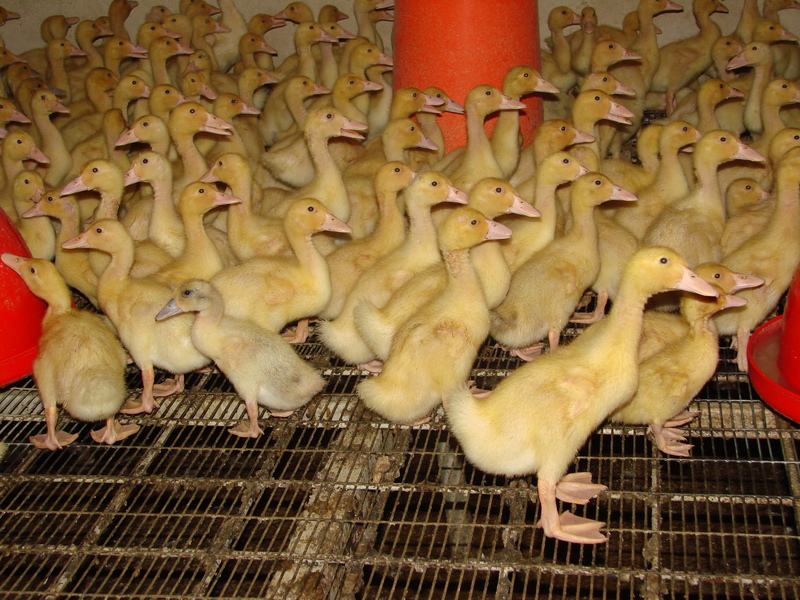 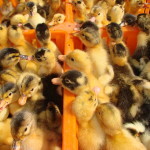 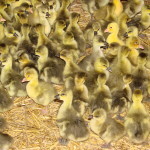 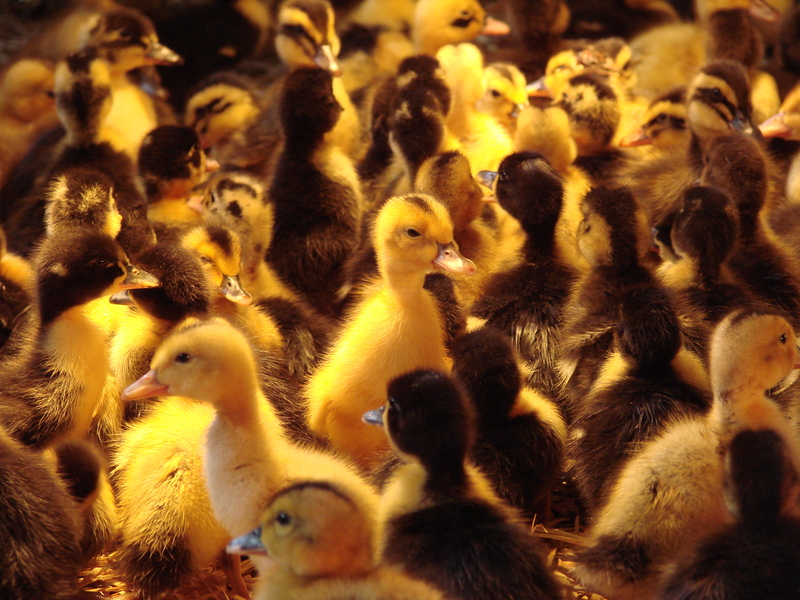 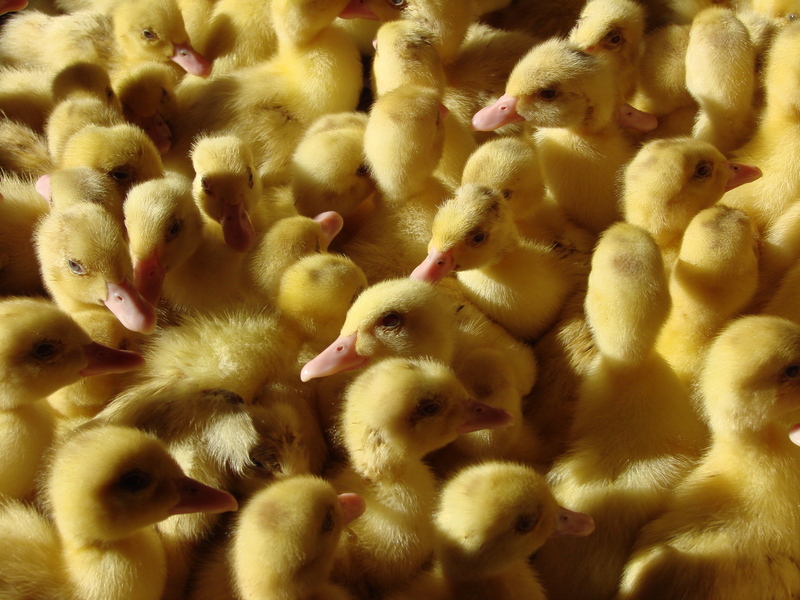 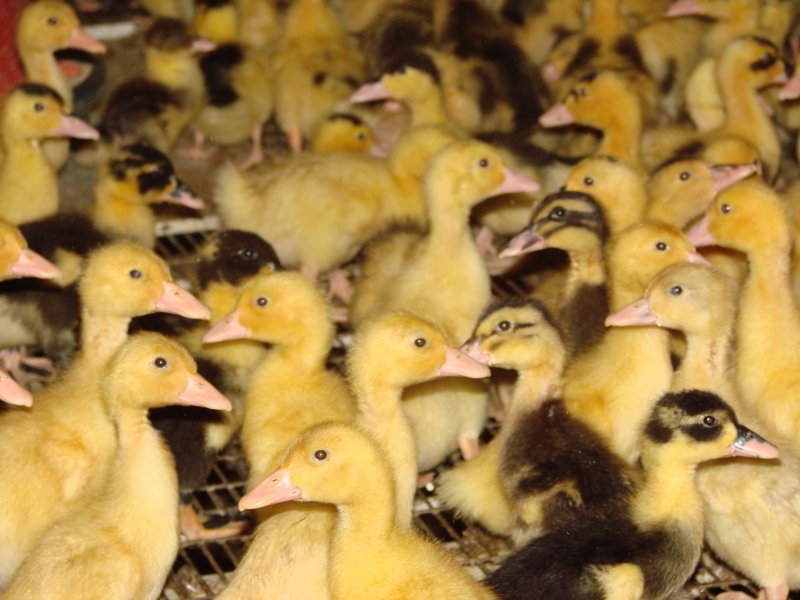 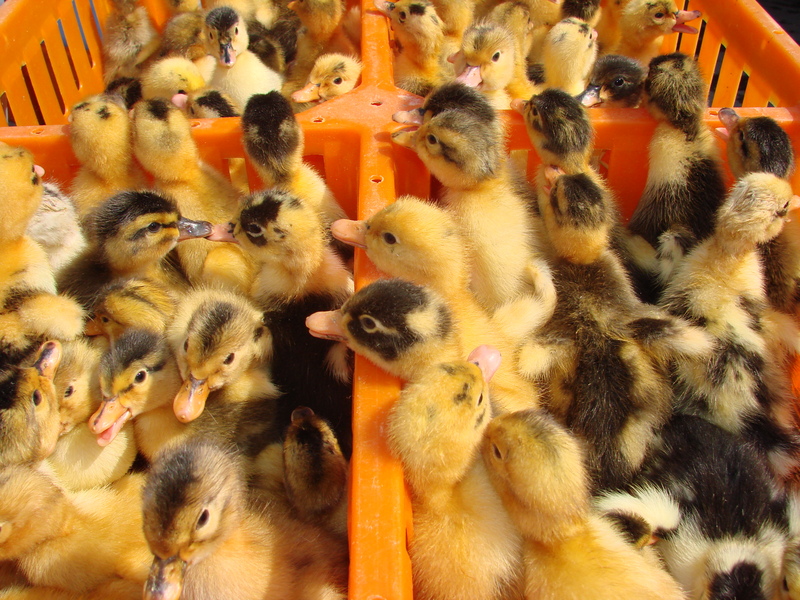 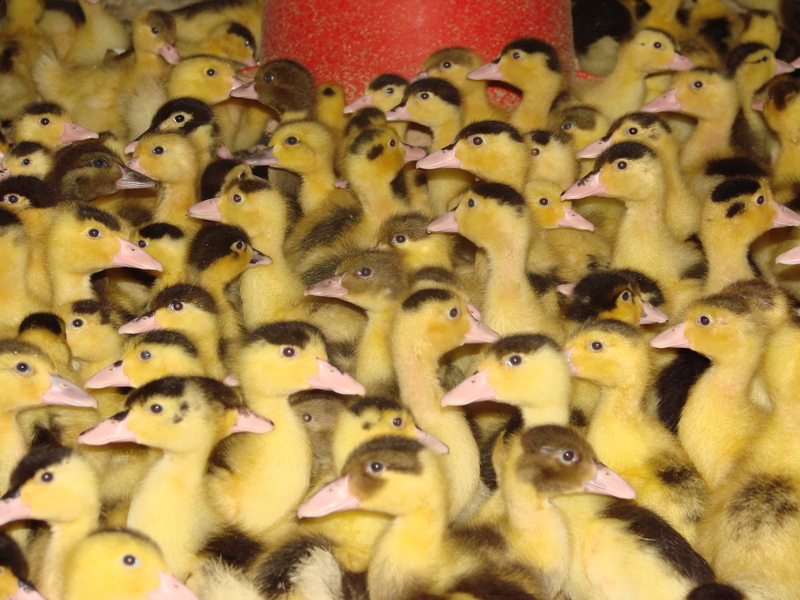 We will be happy to advise you on how to provide perfect environment for Mulard ducks. 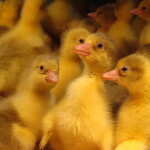 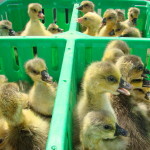 We also offer white and colored geese. 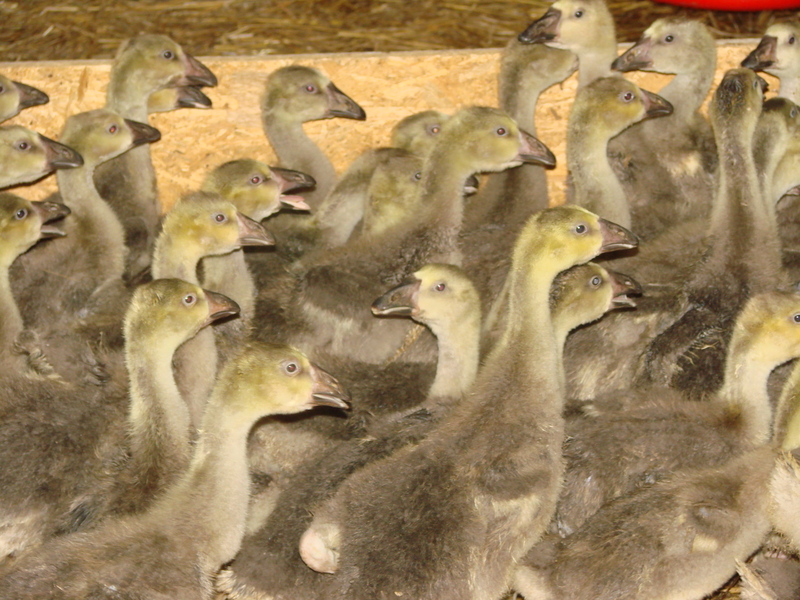 Breeding geese is getting more and more popular in our country, particularly due to unique culinary qualities of goose meat that is now returning to our tables. 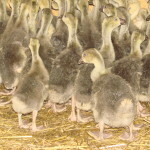 Goose meat also goes to foreign markets. 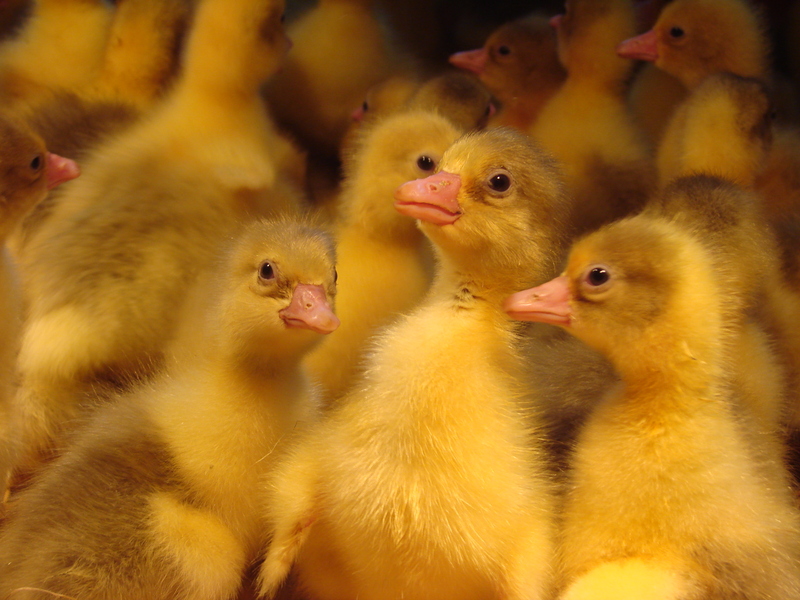 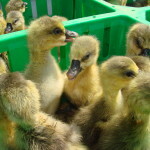 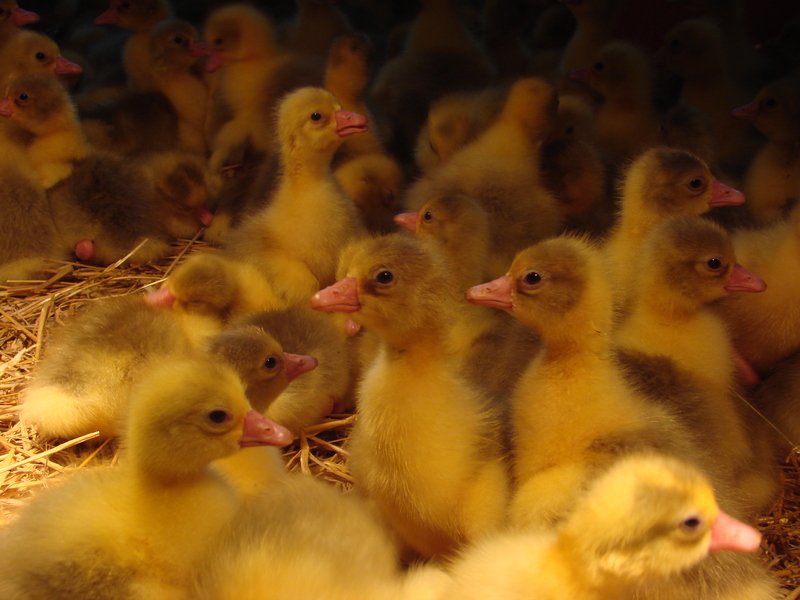 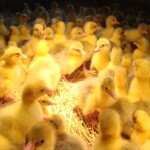 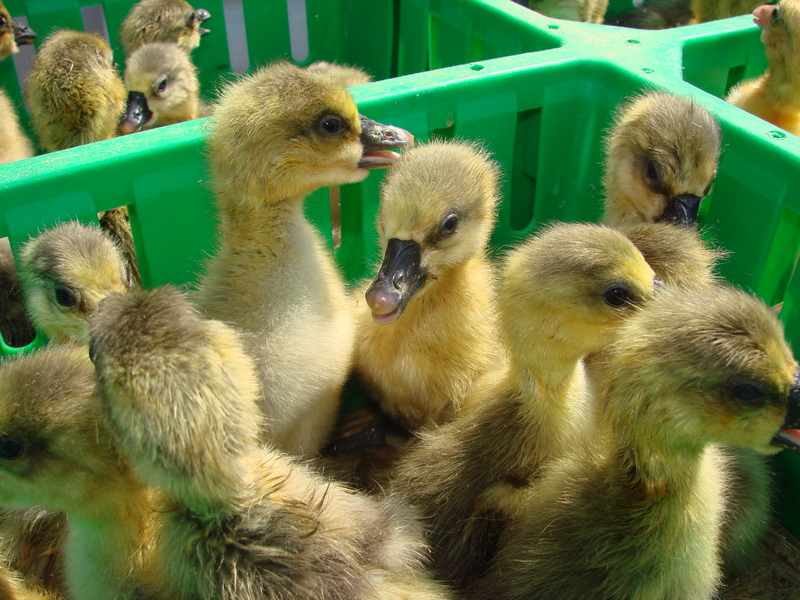 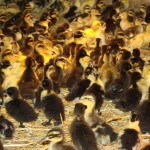 Breeding geese is also profitable because of their feathers and down, exported from Poland to Japan and goose eggs. 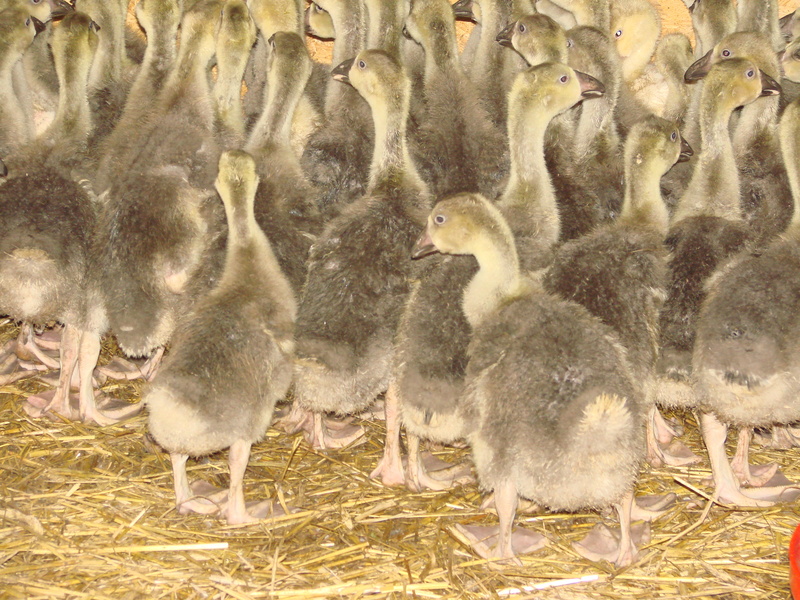 It is believed that the Polish geese have meat of the highest quality in the world. 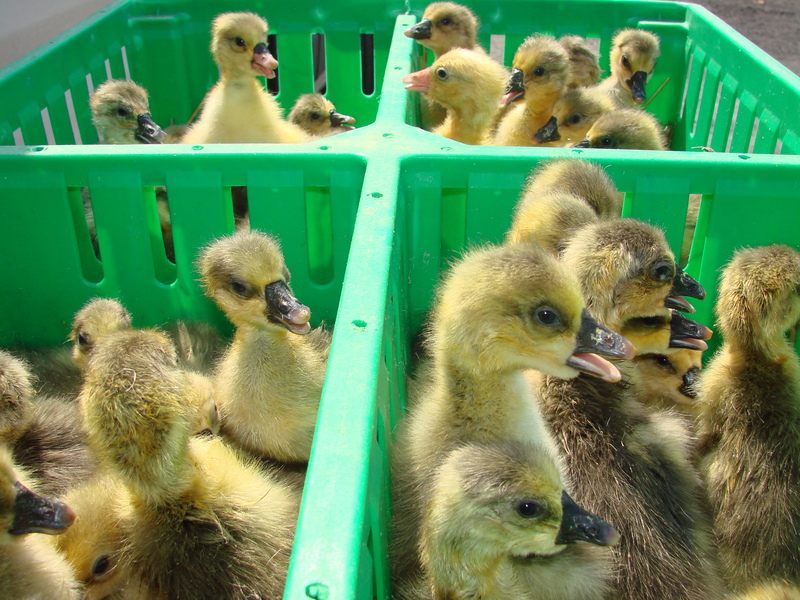 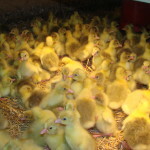 We encourage you to purchase one day and raised geese from our farm. 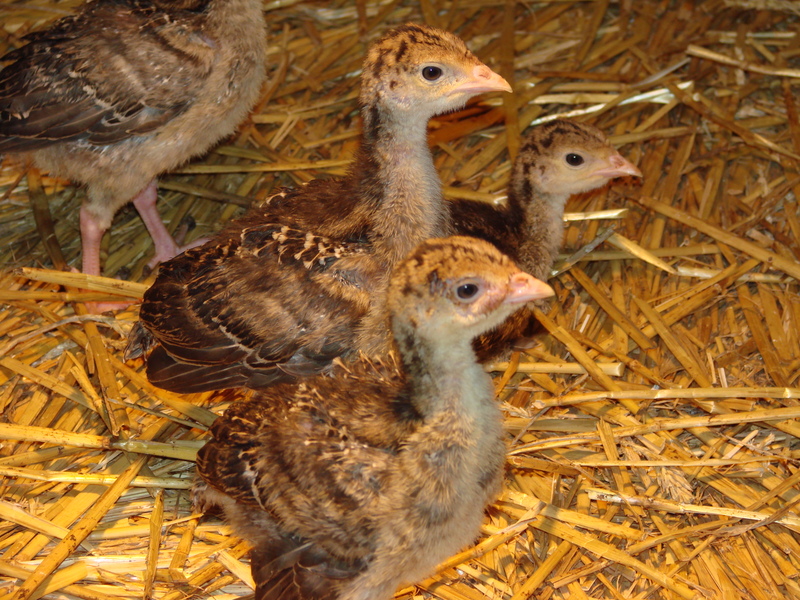 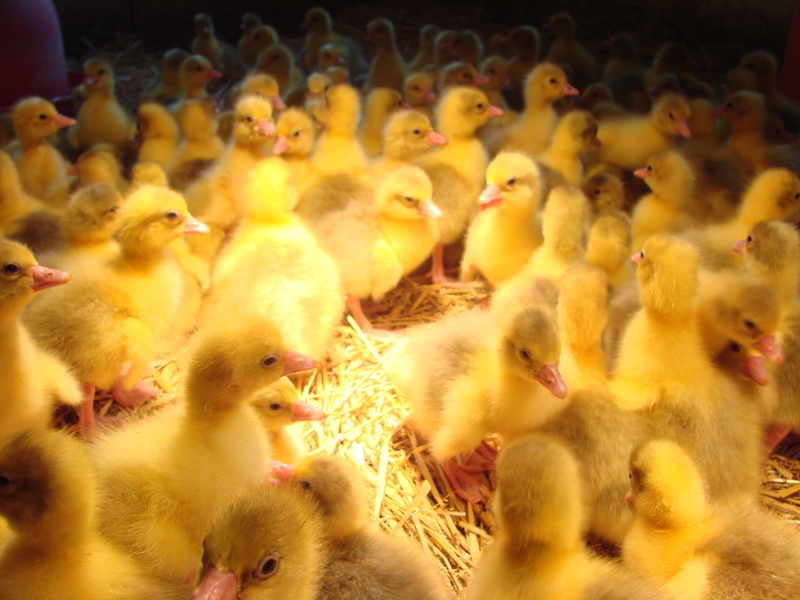 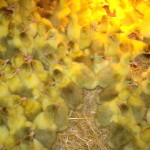 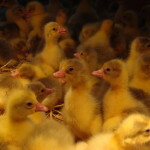 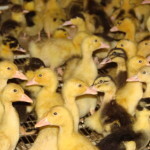 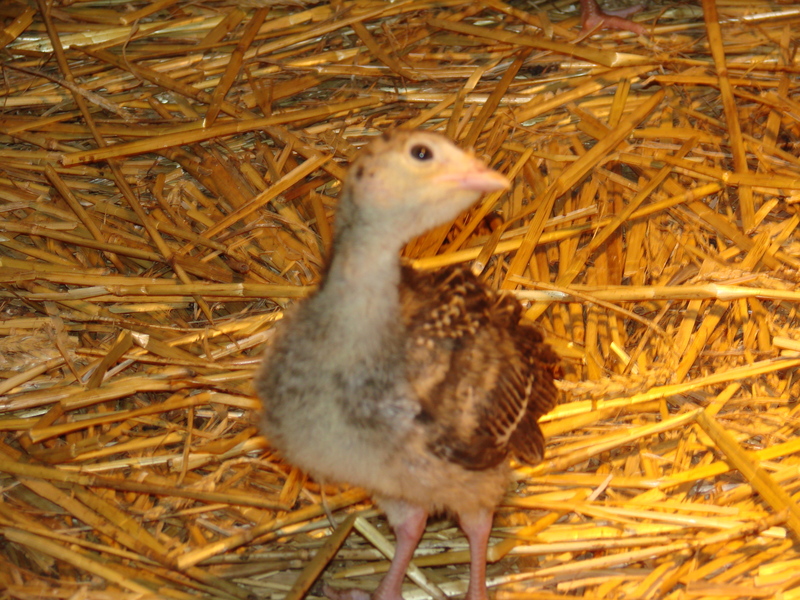 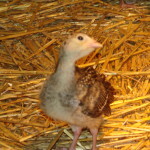 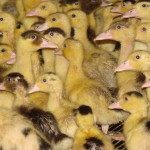 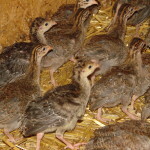 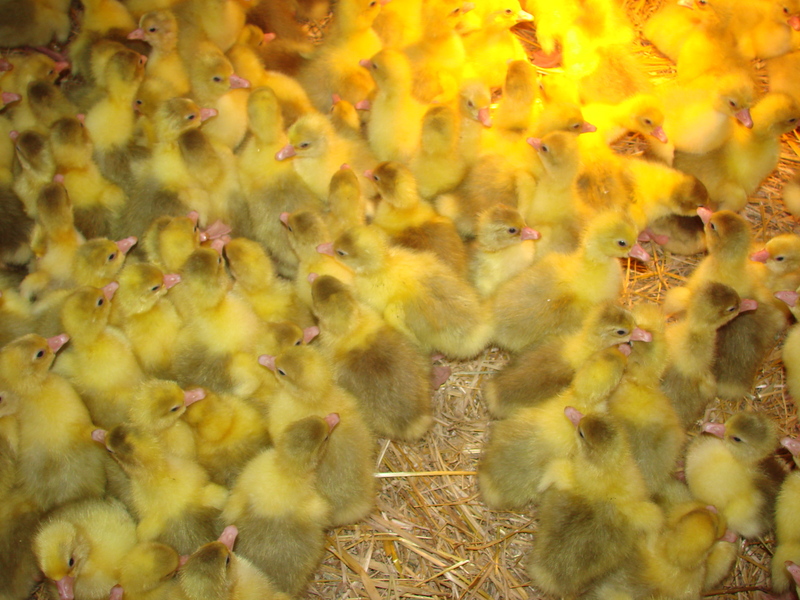 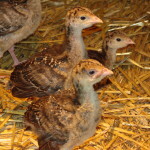 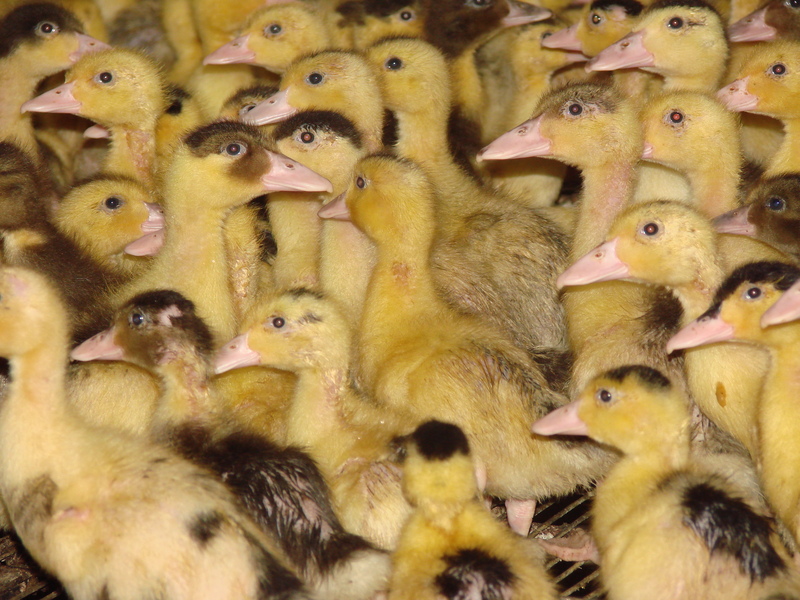 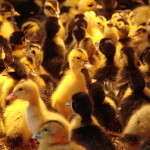 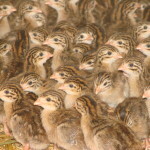 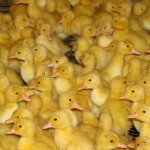 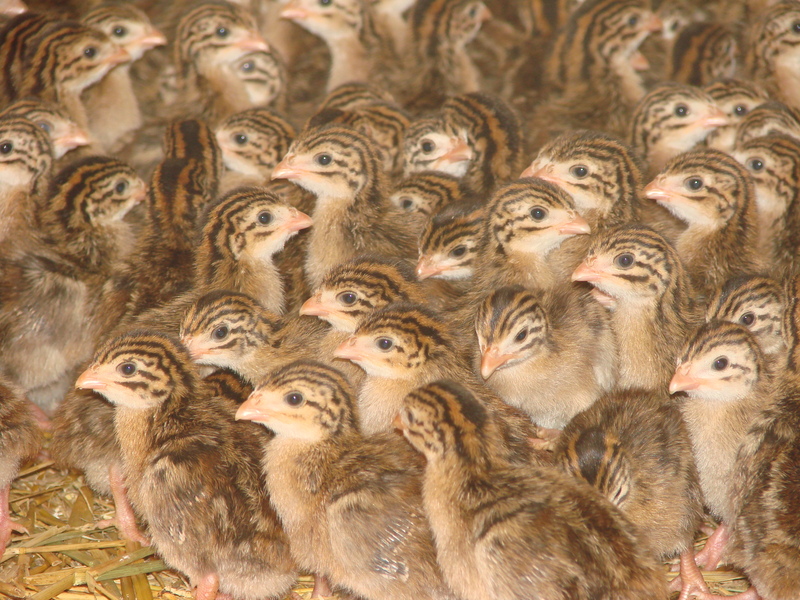 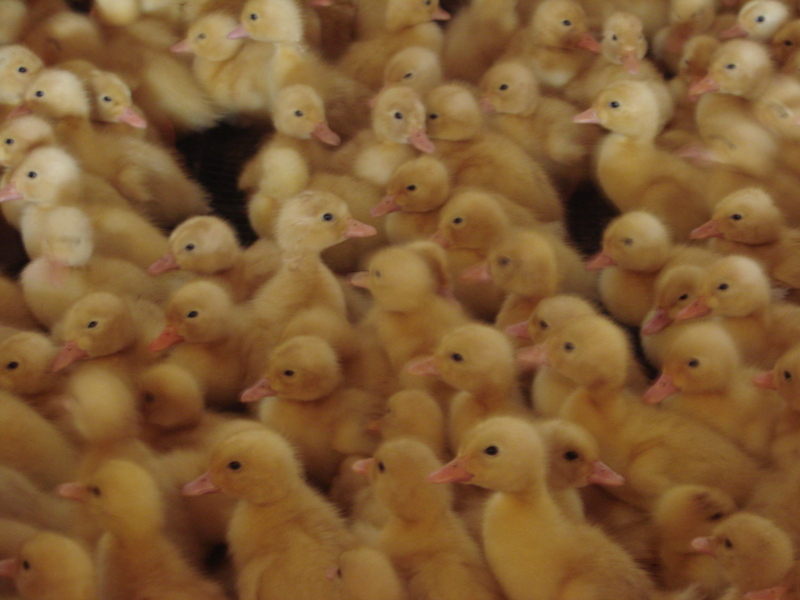 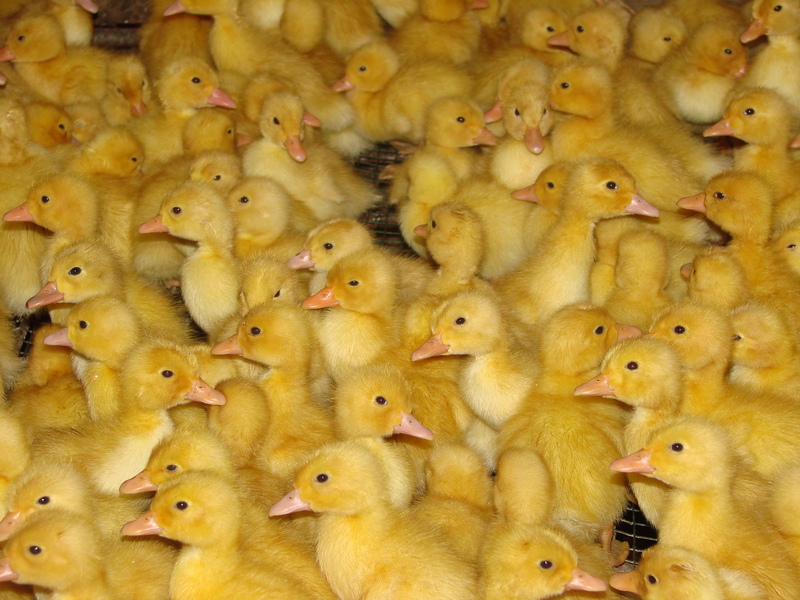 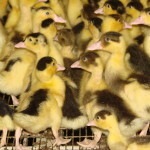 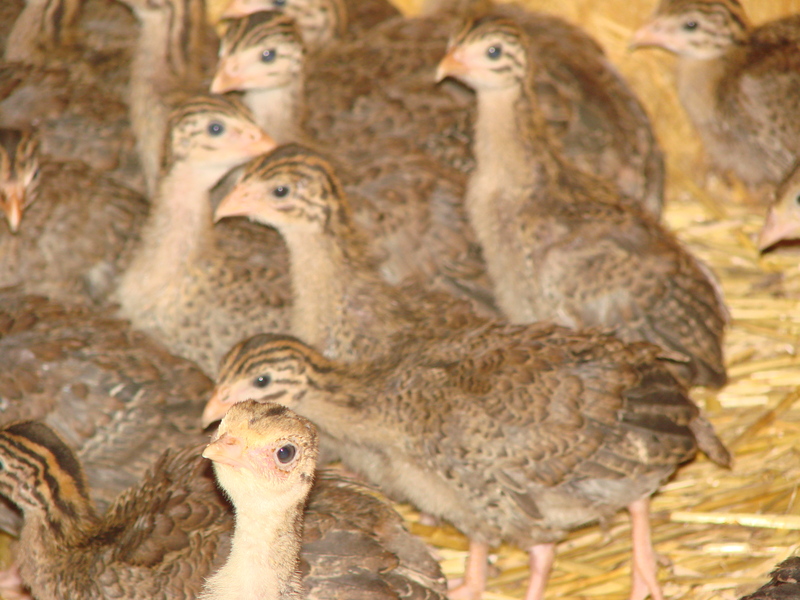 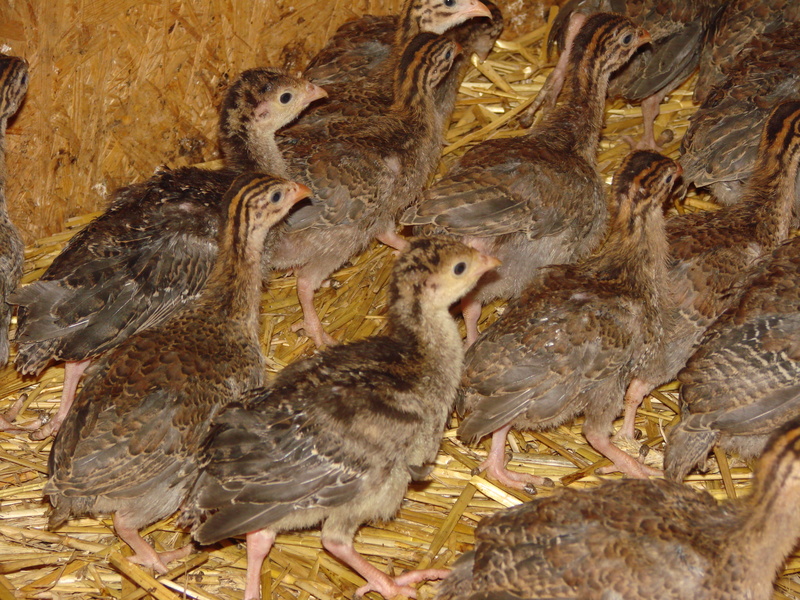 In addition to Mulards and geese we also offer reared Pekin colored ducks and guinea hens – broilers. 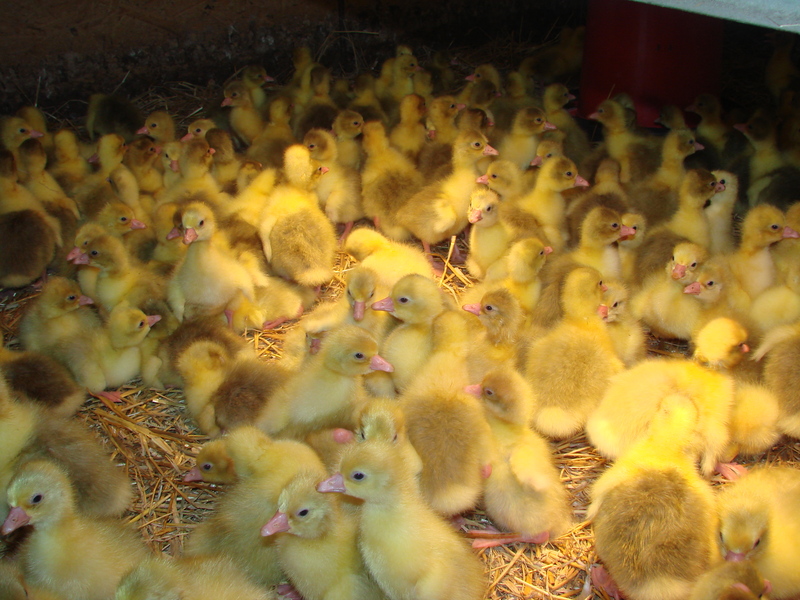 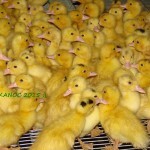 Pekin ducks, Pekin colored ducks, geese from our own well known breeding herds and the best breeders in the country. 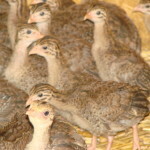 The ability to sell-off of breeding herds after the breeding season (July).